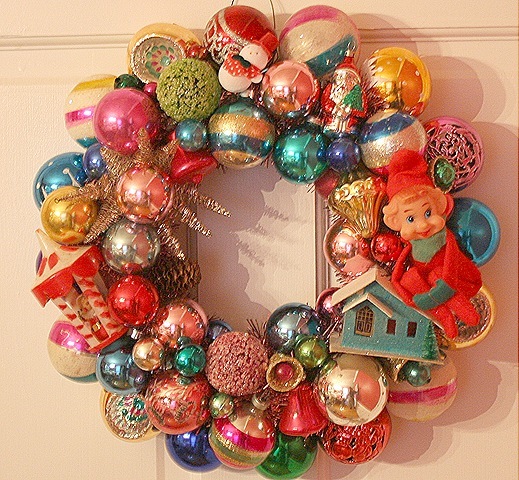 I've managed to scrounge enough materials to make two more wreaths for 2009. They will be in the shop at 3pm Tuesday. Thanks to everyone that has been inquiring about more wreaths!! I think those are the best ones yet!! Beautiful!! Oooh, more wreaths! You’ve inspired me to try my hand at one. What else does one do with a broken Lefton Christmas Girl? Love the table coverings at your craft booth. Very, very festive! Dazzling! I want to wear one as a hat. And don’t think I wouldn’t do it. These are to die for GOR JUS girl! GOR JUS!!! Oh, now I wish I hadn’t sold my less than perfect glass ornaments. 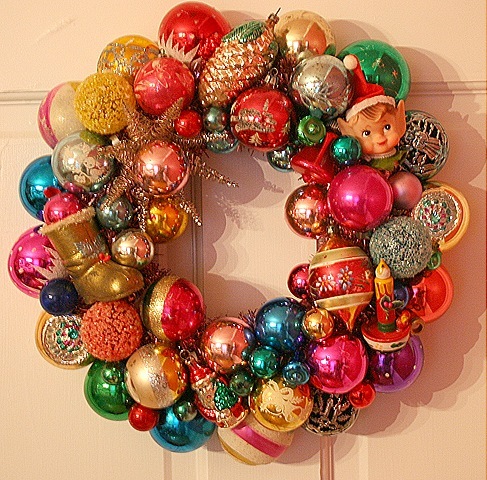 I want to make one but can’t bring myself to glue good ornaments to a wreath!